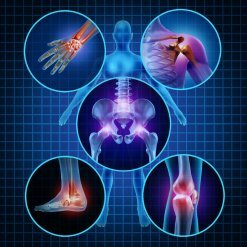 Arthritis is an inflammation of one or more of your joints. There are many different types, including osteoarthritis (OA) and rheumatoid arthritis (RA). Symptoms may include joint pain, stiffness, or swelling. About one in five people have arthritis. It is more common in women, and people with heart disease or diabetes.